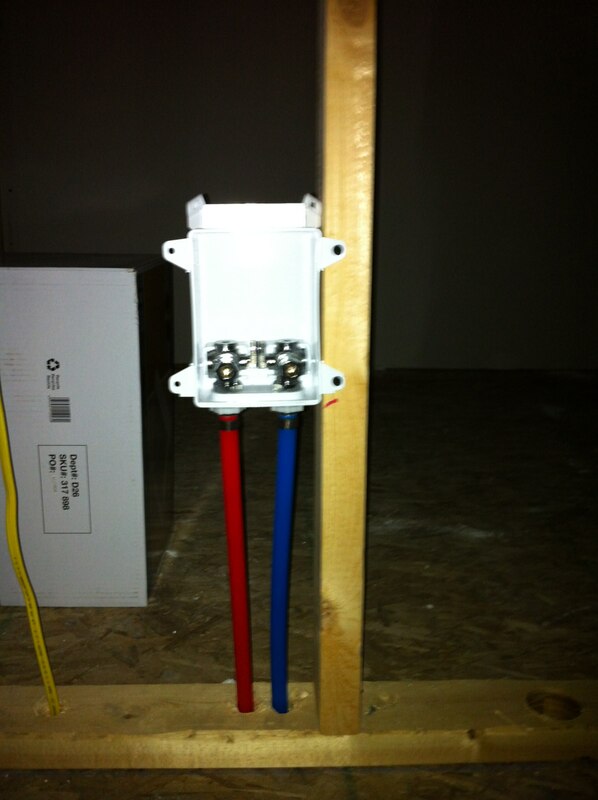 I found these boxes made by Sioux Chief that make installation so much easier. You simply screw the box and run the PEX pipe to it. There is a crimp connection at the bottom and I home run the PEX pipe back to the manifold pictured previously. the faucet connection lines connection direct to the 1/4 turn valves in this box. It has a plastic cover that goes in place while dry-walling and trim ring for after the wall is finished. This has made the supply side plumbing so easy.